Serpenti Form exhibition in Rome. 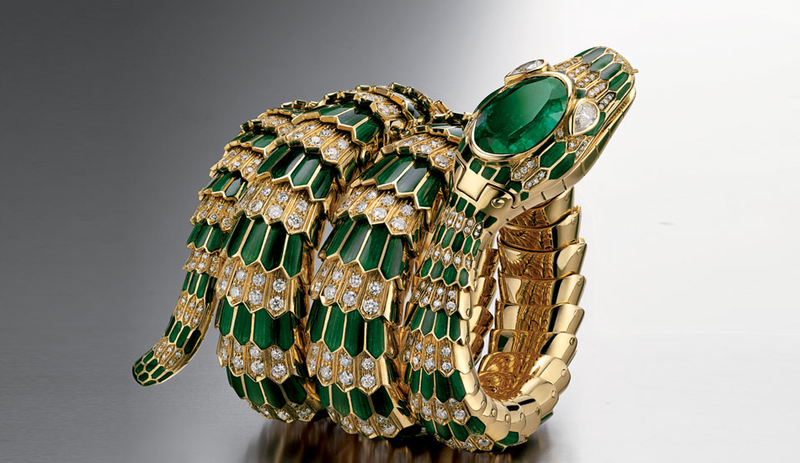 The snake, one of Bulgari’s most iconic house codes, is the theme of new exhibition that the brand opened to the public in Rome on March 3. 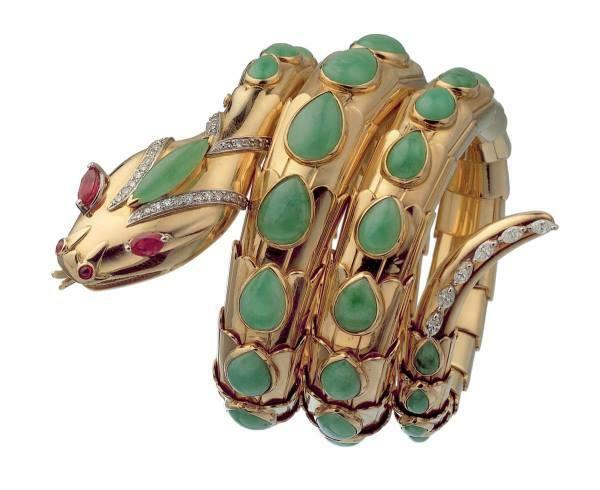 Today (Braschi Palace) Palazzo Braschi will open its doors to an exhibit dedicated to the various creative forms which the snake assumed in the Art, Jewelry and Design world. A Bulgari’s homage to a millennial sign through an eclectic and evocative path which winds from antiquity to the present day. 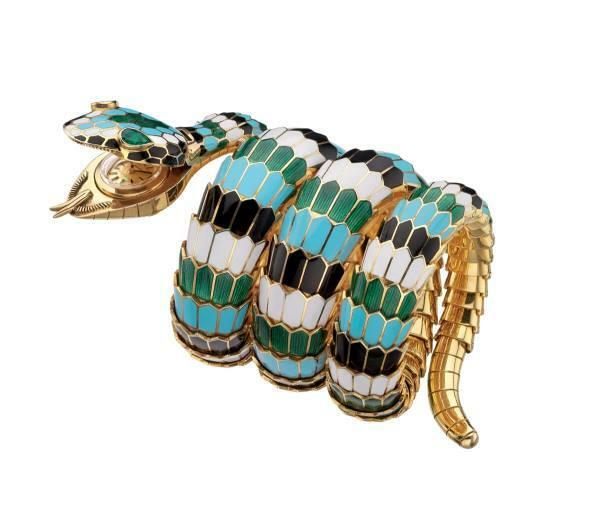 The exhibit “Serpenti Form”, is promoted by the Capitoline Cultural Heritage Department, curated by Lucia Boscaini, Bulgari Heritage Curator and the Brand Heritage of the Maison. Emblem of seduction, rebirth and transformation, the snake symbol is intertwined through centuries with the Human History, capturing the imaginary as in the East like in the West. Since antiquity, the capability of the animal to renew changing its skin, to remain in contact with the earth and in the meantime to rise from it, coiling sinuously or defeating threating predators, fostered myths and legends inspiring the artistic production in several fields. The exhibition itinerary will be structured through the antique jewelry, from Pompeii, to the Archeological Museum of Naples, from the “Serpenti creations” by The Bulgari Historical Archive to the Contemporary works of Art, from photography and artistic illustrations to vintage clothes, from acting and filming clothing to design objects. 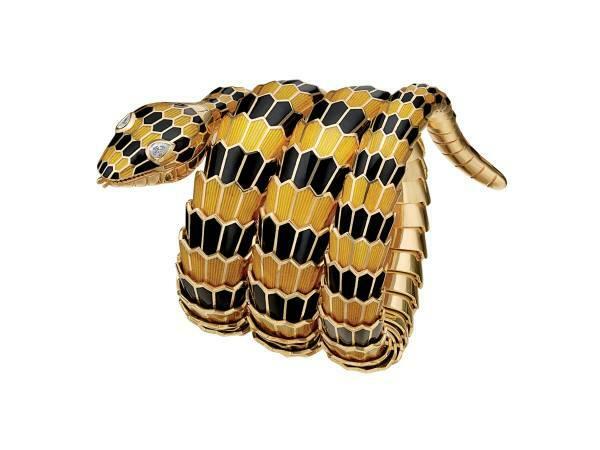 Coinciding with the exhibition is the release of a new tome “Serpent in Art” that illustrates how 32 international artists used the snake as a motif in their work from the end of the 19th century till today. It has led to be interpreted from time to time more realistic or stylised, empathising the powerful significance or that one exquisitely aesthetic of the sinuosity and the litheness. “Serpenti Form” will run through April 10. “Snake” bracelet in gold with jade, rubies and diamonds, 1968. The bracelet is designed as a coiled snake, in 18kt yellow gold, weighing gr. 126.28, set with the following gemstones: the head is set with: 46 circular diamonds, eight-eight cut, average estimated weight 0.01 ct., total approximate weight circa 0.46 ct.; 2 circular cabochon rubies, estimated weight 0.10 ct. each, total approximate weight circa 0.20 ct.; 2 marquise-shaped rubies, mixed cut, estimated weight 0.40 ct. each, total approximate weight circa 0.80 ct; 1 marquise-shaped cabochon jadeite, estimated weight circa 1.20 ct.; the coils of the serpent are set with : 43 pear-shaped cabochon jadeites of differing weights, the smallest of 0.20 ct. the largest of 1.75 ct., total approximate estimated weight 44.00 ct; the tail is set with: 6 marquise-shaped diamonds of modified brilliant-cut, estimated average weight 0.05 ct. each, total approximate weight 0.30 ct. Marks: on the reverse of the tail: “BVLGARI” engraved; on the reverse of the head: oval (illegible), “750”. “Snake” bracelet-watch in gold with polychrome enamel and emeralds, 1967. The flexible bracelet designed as a coiled snake, the scales decorated with white, black, green and turquoise enamel, the head with pear-shaped emerald eyes concealing a gold case, champagne coloured dial; applied gold baton-shaped indexes with black profiles, at 12 paired baton-shaped indexes; “JAEGERLECOULTRE / BVLGARI / SWISS MADE” logos printed in black; black sword-shaped hands; gold back-case with asymmetrical soleil finish secured by two screws; crown winder; hand-wound mechanical movement. Marks: on the reverse of the head: “BVLGARI” engraved; on the back-case: numbered “1122607”. The various aspects of an incredibly versatile motif will be explored.